In the 1980s I taught a class at Eastern Washington University called "The Economics of Women and Work." Topics covered in the course included gender differences in hiring, pay and promotion, and the lack of family-friendly policies in the United States, such as affordable childcare and paid sick leave. 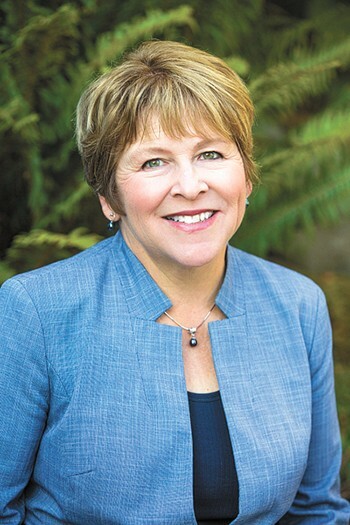 Lisa Brown is an economist, former professor at Eastern Washington University and Gonzaga University and represented Spokane for 20 years in the state legislature. As chancellor of WSU Spokane, she helped initiate the Elson S. Floyd College of Medicine and is running for Congress to represent the 5th district in Eastern Washington. We also discussed sexual harassment. Many times the 18-to-22-year-old students had not experienced it yet, but many of the older women had, and they shared their experiences with the rest of the class. Then, as now, most did not formally complain because they were afraid they would lose their jobs or be blamed for causing the harassment. My own experiences with harassment and discrimination happened at a fast food restaurant in Illinois and in graduate school at the University of Colorado. In both cases, I shared with co-workers and fellow graduate students, but didn't want to jeopardize my paycheck or be considered a "troublemaker." Fast forward to 1991. Anita Hill alleged sexual harassment against Supreme Court nominee Clarence Thomas. He was confirmed anyway, and that ignited a wave of women running for office, including me. Having put in place training at the state senate on a "Respectful Workplace Policy" and having participated in anti-bias training at WSU, I don't believe training is enough. Women's lower pay and more precarious economic standing, especially as parents, is connected to their inability to effectively speak out against harassment. This is compounded for those who are in poverty or suffer from racial or other forms of discrimination. No doubt there are thousands of women (and some men) suffering harassment now, who do not feel safe to speak out. We can all be part of changing that by speaking out ourselves when we suspect something is not right and working for not only explicit policies, but a culture of respect in our organizations. 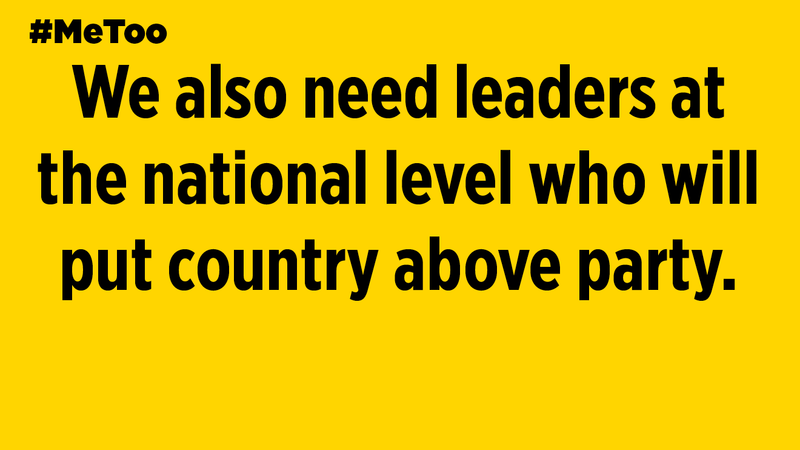 We also need leaders at the national level who will put country above party and not be hypocritical about who is held accountable and who is not. At a certain point, silence becomes complicity.